Ryan J. Foran was born in Maryland. Other than his time spent attending college in Virginia and law school in Florida, he is a lifelong resident of Maryland. He is married. Ryan graduated from DeMatha Catholic High School in 1991. While at DeMatha Ryan played football, lacrosse, track and field and wrestled. He attended the College of William and Mary in Virginia on a four year football scholarship and graduated in 1995 with a Bachelor of Business Administration degree. His wife graduated from Auburn University in 1999. He attended Nova Southeastern University Law School and graduated with a Juris Doctor degree in 1998. He passed the bar exam on the first attempt and scored high enough to waive into the District of Columbia without taking the Bar examination in the District of Columbia. He was admitted to practice law in Maryland in 1998 and in the District of Columbia in 1999. He was a member of the National Honor Society in high school. Ryan has the highest possible rating by Martindale-Hubbell Law Directory and is a member of the Bar Register of Preeminent Attorneys which is limited to lawyers who have demonstrated the highest level of legal ability and adherence to professional standards of conduct, ethics, reliability and diligence. Ryan was selected by Super Lawyers Magazine as one of the top young lawyers “Rising Stars” in Maryland in 2011 and 2012. To get included in the Super Lawyers magazine, one must be nominated by other attorneys or selected from a candidate search and evaluated by a panel of peers in the practice area. Only 2.5% pf lawyers statewide are named in Super Lawyers Rising Stars. Ryan has successfully tried and/or handled thousands of cases before the Maryland Workers Compensation Commission, D.C. Office of Workers Compensation, District of Columbia Administrative Hearings Division, most District Courts of Maryland, many Circuit Courts of Maryland, District of Columbia Superior Court and United States District Court for the District of Maryland. Ryan is a member of the Maryland State Bar Association, the Prince George's County Bar Association, the District of Columbia Bar Association, the American Bar Association and the Maryland Trial Lawyers Association. He is admitted to practice law in all state and federal courts in the State of Maryland and District of Columbia. Ryan clerked for the Honorable Richard Sothoron, Circuit Court Judge in Prince George's County immediately after law school and did an internship in the Office of the Public Defender in Prince George's County. Thereafter, he entered the private practice of law and has been in private practice since 1998. 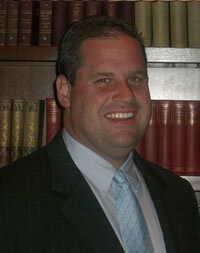 Since entering the private practice of law, Ryan has focused his practice on injury cases. Ryan currently handles cases including workers compensation claims, auto accidents, medical practice and serious personal injury cases. Ryan and his family believe that it is important to give back to the community. Ryan stays active in coaching youth sports and helps his children and their sports teams including basketball, swimming, football, lacrosse and baseball. Ryan devotes many hours a week working with children after he leaves the office from work.